Late last month, in concert with several Western nations, Canada expelled a number of Russian diplomats stationed here. The federal government explained it had acted in solidarity with Britain, which blames Russia for a deadly chemical attack on a former Russian double agent and his daughter residing in the country. 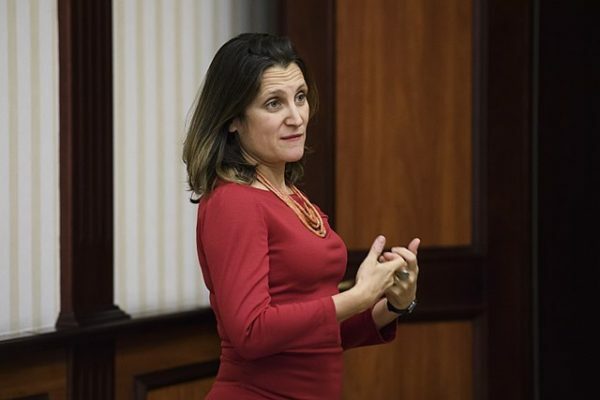 Shortly afterwards, Canadian Foreign Minister Chrystia Freeland offered another reason for the expulsion of four diplomats from their posts in Ottawa and Montreal. They had used their diplomatic status “to interfere in our democracy,” she claimed without elaboration. Attempts by reporters to extract more information from her proved fruitless. 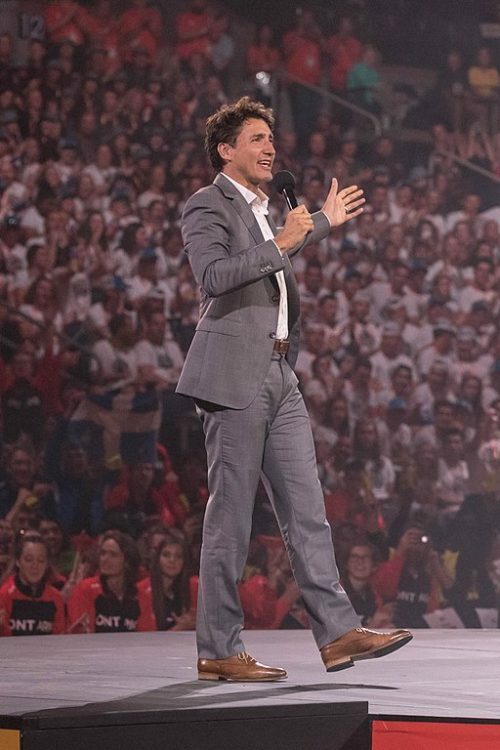 Trudeau was implicitly referring to news reports, carried by major Canadian newspapers in 2017, that Freeland’s late and dearly beloved Ukrainian grandfather, Michael Chomiak, had been a collaborator in Nazi-occupied Poland. In response, Freeland released a statement saying she was a victim of Russian disinformation. A little later, her office said that Chomiak — a Ukrainian nationalist on the far right of the spectrum who immigrated to Canada in 1948 — did not collaborate with the Germans. Contrary to the misleading views set out by Trudeau and Freeland, Chomiak indeed worked hand-in-glove with the Nazi occupiers in Krakow, Poland. 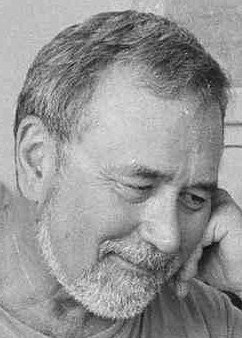 Freeland’s uncle, John-Paul Himka, a professor emeritus at the University of Alberta, published a scholarly article in 1996 analyzing Chomiak’s wartime activities. Freeland, an accomplished journalist before her foray into politics, helped edit his monograph. Chomiak was the editor of Krakivski Visti, a Nazi-financed Ukrainian newspaper that published a steady stream of antisemitic articles denigrating Jews and, in effect, justifying the Holocaust, which claimed the lives of three million Polish Jews from 1939 to 1945. Tellingly enough, Krakivski Visti was produced and printed in a facility that the Nazis had seized from its Jewish proprietor. 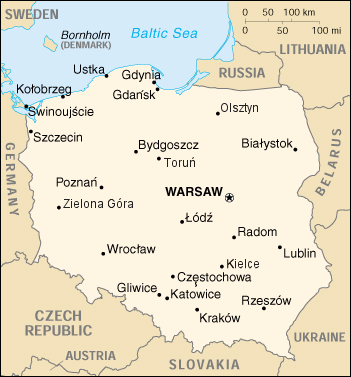 He was sent to Belzec, a Nazi extermination camp in Poland, and murdered there. Chomiak was less than reticent about his ideological kinship with the Nazis. Photographs show him partying with local Nazi leaders in Krakow. Chomiak knew exactly what he was doing. Having aligned himself with the Nazis, he hoped or assumed that a victorious Germany would recognize a sovereign and independent Ukrainian state, free of Russian interference. Much to his probable disappointment, Germany lost the war and Ukraine remained part of the Soviet Union, which valiantly sacrificed millions of its troops to defeat the Nazis on the battlefield. Some of the soldiers who were killed in defence of the Nazi cause belonged to the 14th Waffen SS Division, composed of Ukrainian volunteers. With the tide of the war having turned against the Germans, Chomiak and his family went to Germany, where he continued to edit his disreputable newspaper. He died in Canada in 1984, never having had to face justice for his war crimes. 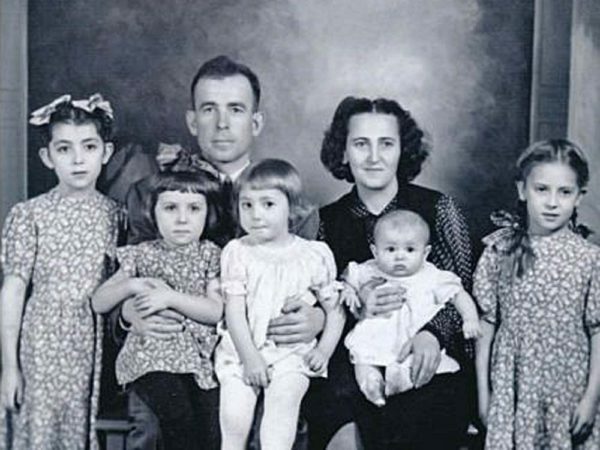 Michael Chomiak and wife, Alexandra, with their children in Canada in 1952. Freeland’s mother, Halyna, is second from left. The historical record is crystal clear about Chomiak, yet Freeland flatly refuses to publicly acknowledge the fact that he lent his services to Nazi Germany. Instead, she has tried to obfuscate the issue by suggesting that Russia is attempting to smear her, defame the Ukrainian nationalist movement and undermine Canadian democracy. The Chomiak affair is intrinsically about history, which should not be trifled with, and it would be to her personal credit and political advantage if she admitted that her grandfather was an extremely flawed person. Yet, for all intents and purposes, Freeland has virtually succeeded in shutting down a legitimate debate about Nazi collaborators, a topic that reputable historians continue to address in books and articles. Regrettably, Trudeau has followed Freeland’s lead to the letter without even bothering to ascertain the truth. Shame on him and Freeland.